When it comes to easy weeknight dinner, chicken thighs is our favorite to start with. They're budget friendly and tender, moist and flavorful. Recipe by Christine Lamb (Christine's Pantry), 2015. In a small bowl, combine garlic, black pepper, salt, oil and italian seasoning. Place chicken in a dish in a even layer. Add herb mixture and rub chicken to coat with herb mixture. Cover and refrigerate for 1 hour. Preheat oven 350 degrees. Remove chicken from marinate and shake or brush off any excess oil and herb. 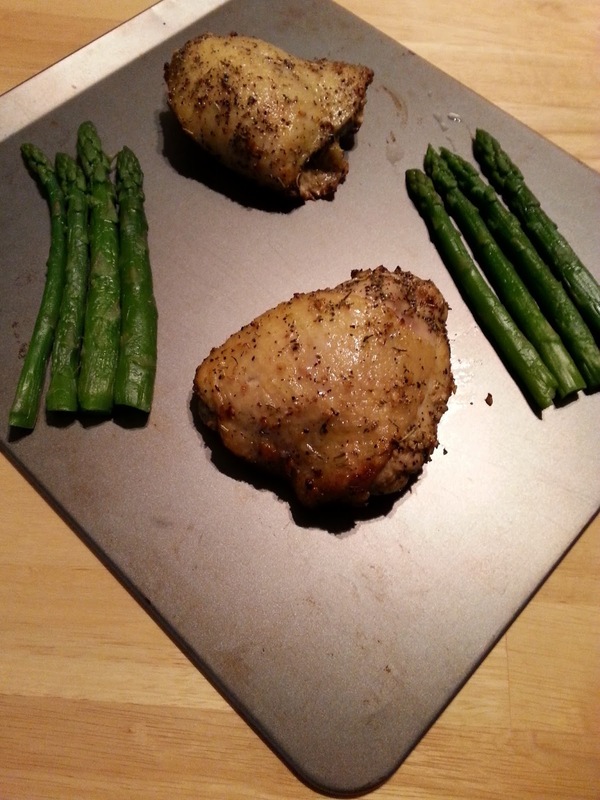 Place chicken on a baking dish. Sprinkle chicken with salt. Roast chicken about 35 to 40 minutes, until chicken is cooked through.